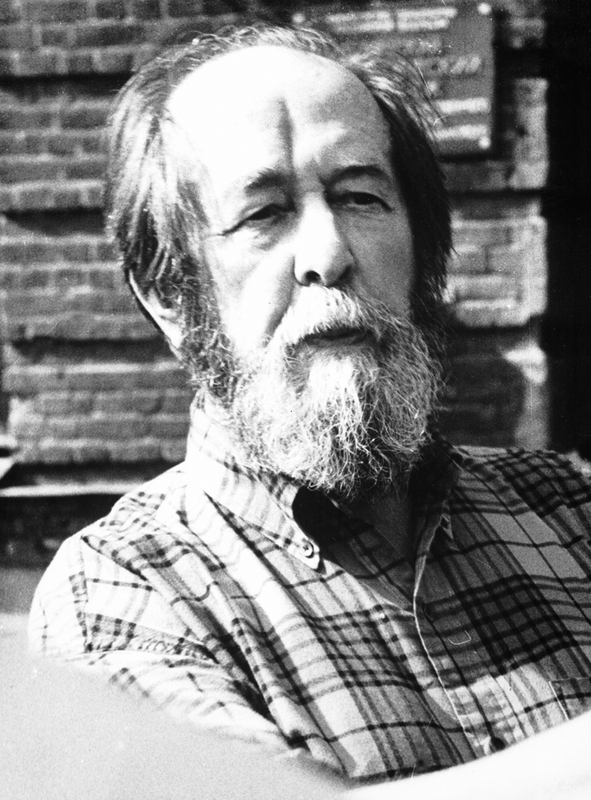 Photographs from Aleksandr Solzhenitsyn's later years, after he returned to Russia. 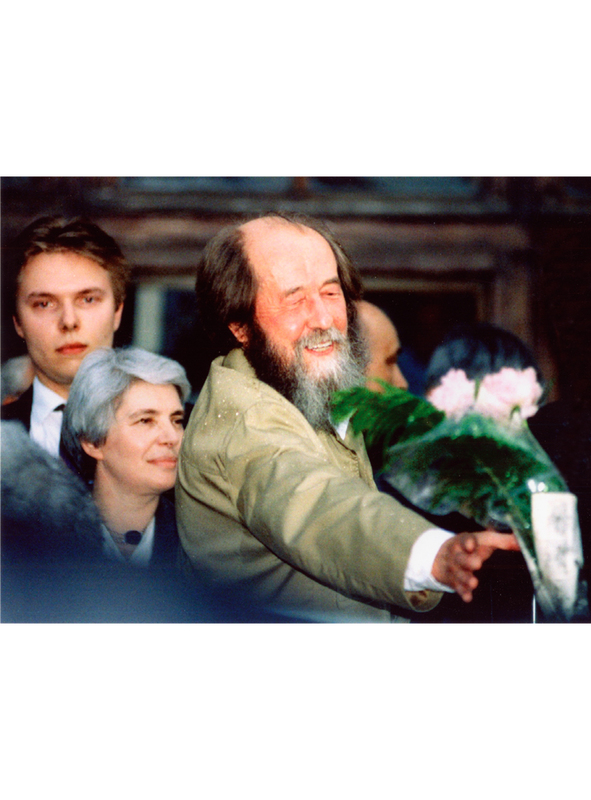 9.1┆ Aleksandr and Natalia Solzhenitsyn, back on native soil. 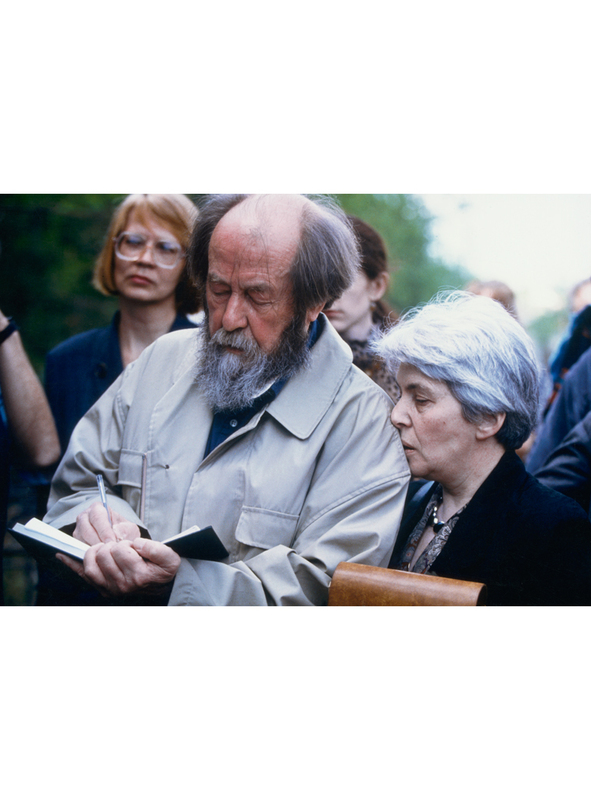 9.3┆ Viktor Astafyev and Aleksandr Solzhenitsyn. 9.4┆Arriving in Yaroslavi (final stop before Moscow). 9.5┆ Arriving in Moscow (with Ignat and Natalia). 9.6┆ Meeting with residents of Borovsk (Kaluga region). 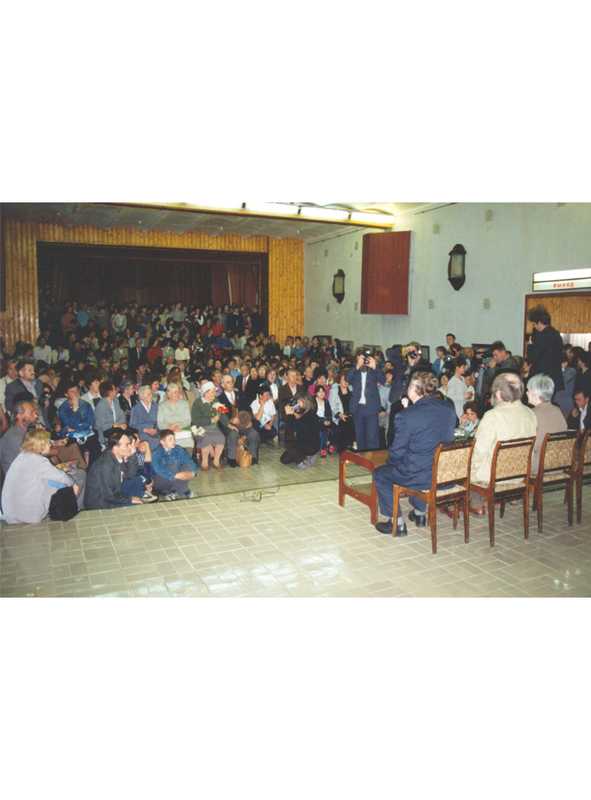 9.7┆ Aleksandr Solzhenitsyn in Uglich. 9.8┆ Aleksandr and Natalia Solzhenitsyn. 9.9┆ Aleksandr Solzhenitsyn and (famed director) Yuri Lubimov at the Taganka Theatre during celebrations of Solzhenitsyn’s 80th birthday. 9.10┆ Mstislav Rostropovich and Aleksandr Solzhenitsyn at the Great Hall of the Conservatory during celebrations of Solzhenitsyn’s 80th birthday. 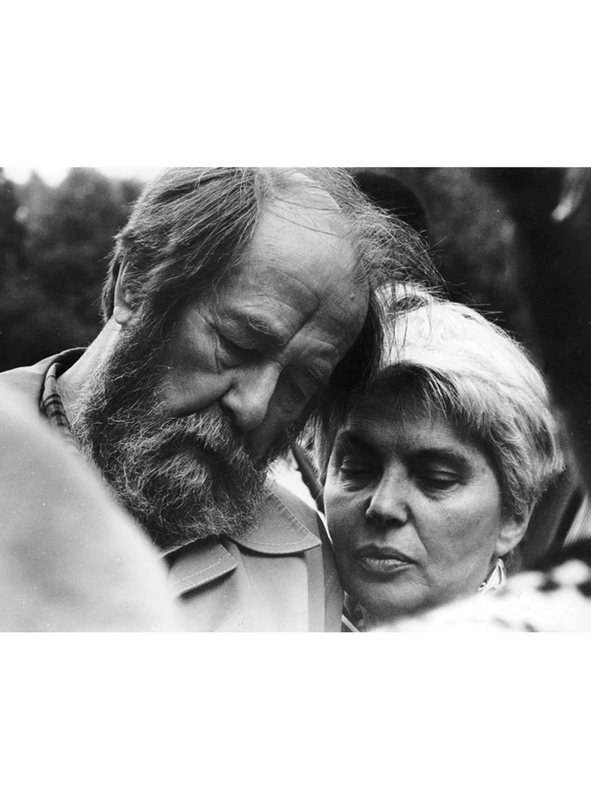 9.12┆ Natalia and Aleksandr Solzhenitsyn.